What does “well written” actually mean? She asked with some trepidation, like it was an insider secret she had yet to learn. And I don’t blame her. Often times the phrase “well written” comes with imagery of exclusivity and prestige as if only some people in the literary world are allowed to decide what qualifies. Those of us at the retreat who had been in the writing (and reading) game for a bit longer knew exactly the type of writing she was talking about, but when it came time explain it, we paused, stumbled, started over again and then stopped. For real. What does “well-written” truly mean? When I searched online, I found a variety of answers. According to the Cambridge Dictionary well written means writing that is done in an effective or interesting way. Interestingly enough when I googled “quotes about well written” most of the results came back with actors talking about films and TV roles. When something is well written people sometimes say the words are poetic, the characters are relatable, the plot is compelling. But to nail down what specifically makes those things happen on the page… is a bit harder. Pretty much, people agree, that if a piece of text doesn’t create a painful reading experience, it could be considered well written. But, come on people, we can do better than that, can’t we? My friend and author of the memoir Almost a Mother, Christy Wopat, answered like this. “It’s different for everyone. For me it’s about voice. When an author's voice has been developed, they have a significant writing style that you can attribute specifically to them. And that voice draws you in instantly AND makes you want to keep reading." Personally, I think that a piece is well written when the author accomplishes their task, be it to inform, persuade or entertain, and also manages to make their words sound pretty when read aloud. For me it is balancing a magical concoction of excellent word choice, flow, and rhythm, while maintaining an engaging story line. Kate DiCamillo is a master of this and a new recent favorite in this category of “well written” is Dan Gemeinhart whose book I shared on my blog earlier this month. Witty is also one of my favorite aspects of writing. As a former show choir kid, I hold a soft spot in my heart for musicals, but two top my list for their quick wit and I would argue this makes them the best musicals ever. Which two am I talking about? Wicked and Hamilton. Another member of our group, Teri, a children’s librarian at Murphy Library on the UWL campus, said she could break the task of writing well down into three steps. 1. Read a lot, in order to recognize when things are going well. 2. Read about the craft of writing. 3. Read book reviews by professional book reviewers and pay attention to what they mention. This might not be all there is to it, but it’s definitely a good start. There are so many experts sharing what they know in blog posts and on social media, in trade magazines and books. It would be a crime to ignore it. If you write for children and need a place to start, check out the most recent ALA Award winners, announced on Monday. Start there. Study. Practice. Revise and write some more. 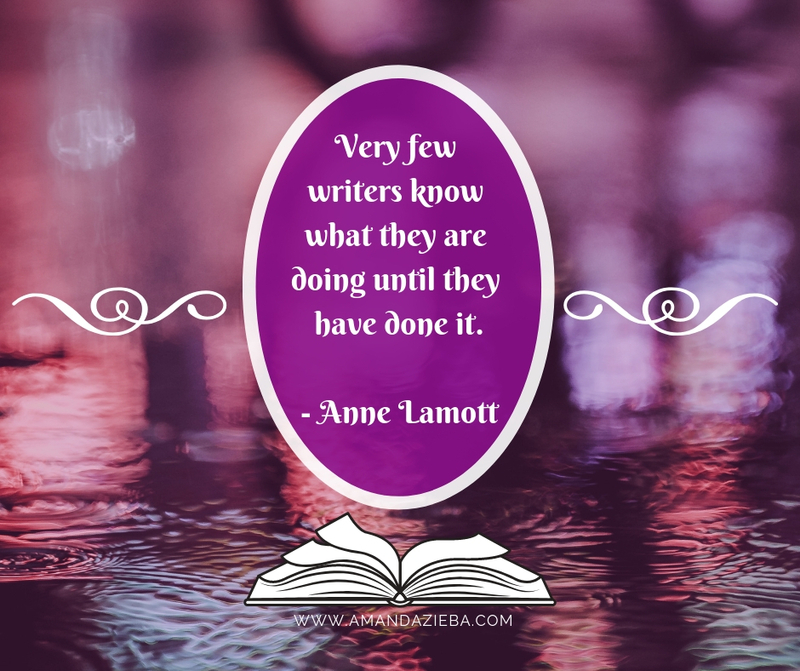 I’ll close with a piece of advice from literary guru Anne Lamott.